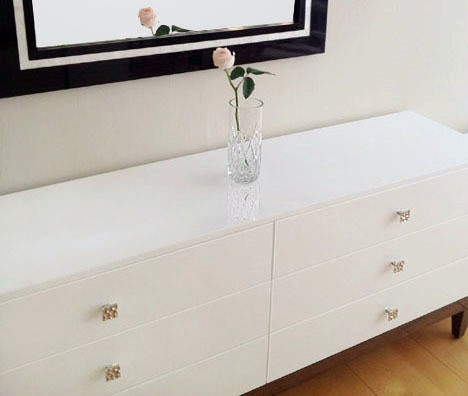 LaCasa Collection six drawer dresser, shown in white lacquer on walnut base, with polished nickel pulls, the interior is finished in optional light grey color. 72"w x 17"d x 30"h.
Custom sizes and finishes including interior colors are available. Also as a side table.